WASHINGTON (CNS) — The Rev. Martin Luther King Jr.’s support of nonviolence to bring about social change applies as much to today’s society as it did when Rev. King put his philosophy to paper 60 years ago, said speakers at an Oct. 2 news conference at the memorial dedicated to the civil rights figure in Washington. That the news conference was scheduled in advance of, and held the day after, the Las Vegas shooting spree that killed 58 people and injured more than 500 only underscored the importance of Rev. King’s message, according to the speakers. Bishop Murry, who is African-American, acknowledged he has been the target of racism and segregation. One of the more frustrating episodes for him, he told Catholic News Service, was when a white airline passenger called for a flight attendant because he did not want to sit next to Bishop Murry. Rev. King’s essay, “Nonviolence and Racial Justice,” appeared in the Feb. 6, 1957, issue of the Christian Century, a theological journal. It laid out his principles for acting nonviolently to seek change. “Dr. King is still the beacon of the way forward,” said Bishop Charles E. Blake Sr., presiding bishop of the Church of God in Christ, in remarks delivered by Bishop Edwin C. Bass, president of the denomination’s Urban Initiatives. Bishop Blake added that 2018, the 50th anniversary of Rev. 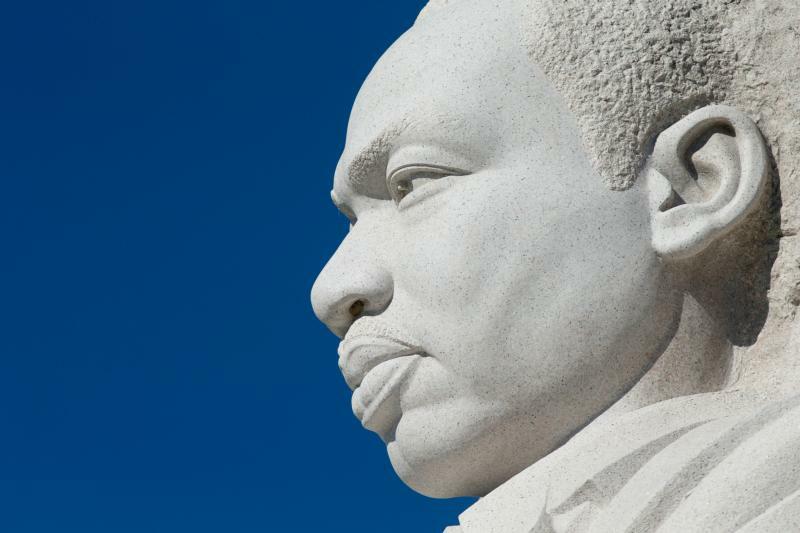 King’s assassination, should be seen as “the year of Martin Luther King Jr.,” with programs and conferences to renew the commitment to nonviolence.